As Nicaragua quickly becomes a favored tourist destination for many travelers, the time to visit is now. In the heart of the country lies Central America’s largest lake called Lake Nicaragua, measuring roughly 3200 square miles. 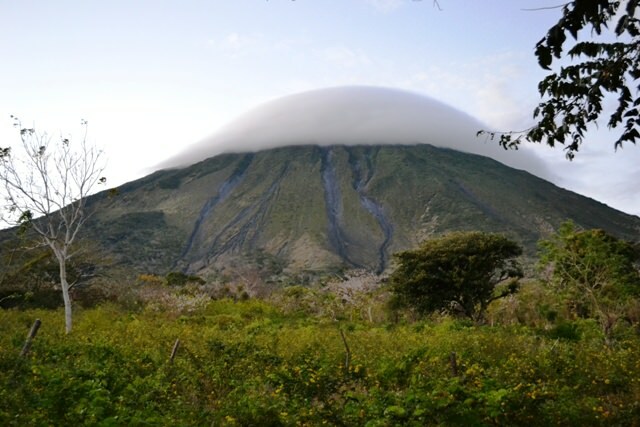 Rising from the lake is the ominous volcano island of Ometepe. At an estimated 107 square miles and a population of 30,000, this majestic island is stocked full of culture, history and natural beauty. 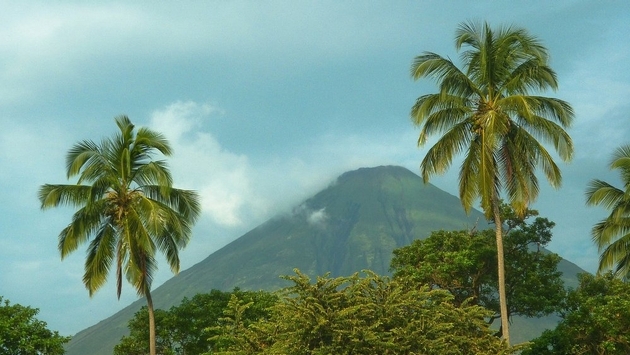 There are two main towns on Ometepe; Moyogalpa and Altagracia. Moyogalpa is the commercial center and the hub where the ferries arrive. There are restaurants, shopping and places to stay but for a more authentic and cultural feel Altagracia is a better place to kick back, taste the local cuisine and spend some down time. The island itself is shaped like an hourglass; to the north sits the active Volcan Concepcion and the south is the extinct Volcan Maderas. No matter where you go on the island the backdrop is dramatic with the two massive volcanoes staring down at you. Both Volcanoes are known for their difficult but incredible hiking trails. Because of the treacherous terrain, hiring a guide is highly recommended. The hike up Volcan Concepcion is about 10 hours long. The first leg through lush farmland and jungle may make you feel at ease, but as you reach the summit, the dangerous shards of rock and blowing wind will leave you feeling like you have conquered the moon. 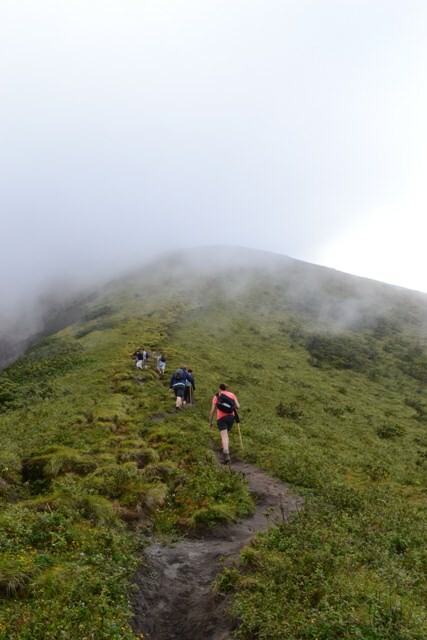 Volcan Maderas is about a 7 hour hike and a bit smaller than its sister volcano, but due to the impenetrable cloud forest that circles the top like a crown; it too is not an easy feat. When hiking either volcano, it's necessary to bring appropriate footwear and hiking gear. On the north eastern side of the island you can find an oasis like no other. Nestled in the jungle is the Ojo de Agua; a thermal spring filled with crystal clear water. 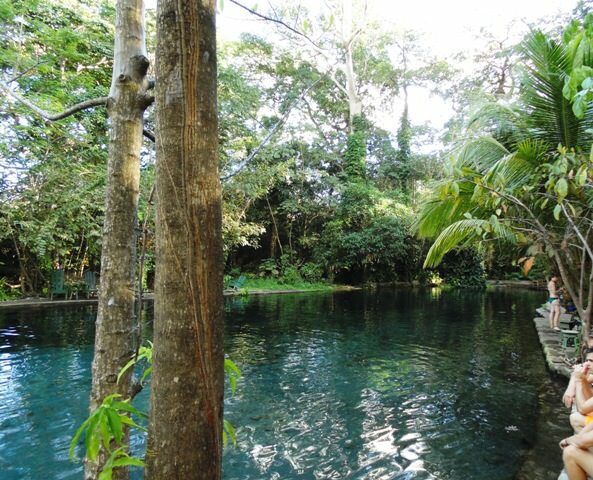 The swimming hole has two separate pools that are continuously being fed from the underground river originating from Volcan Maderas. Because of its popularity the Ojo de Agua is now equipped with change rooms, lounge chairs, light snacks and beverages. To truly appreciate this magical place, try to avoid the weekend crowds. Take a walk through the Charco Verde Ecological Reserve. With approximately 50 acres of tropical dry forest to explore, this reserve is an excellent place to see all sorts of wildlife. Bird watching is top notch, but what this island is known for is its abundance of capuchin and howler monkeys. Listening to the howler monkeys will give you goosebumps and watching them swing through the trees is something that you will never forget! There are marked walks throughout the reserve as well as scenic black volcanic beaches to relax and unwind on. Ometepe is famous for its pre-Columbian history and with that so many amazing petroglyphs still remain on this very island. Archeologists have uncovered more than 1700 rock carvings that date back to 1000 BC; some of which demonstrate the use of calendars and stones of human sacrifice. There is the Archeological Museum of La Ceiba that you can visit, but interesting sites can also be found all over the island and are marked on local maps which you pick up in town. 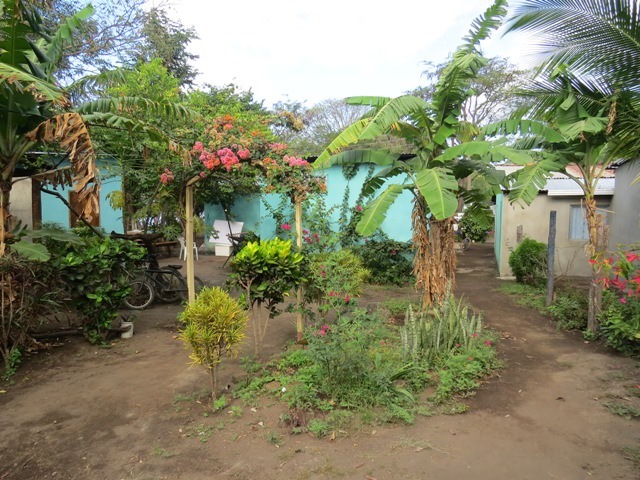 There are plenty of options for places to stay on the island but if you are looking for a unique and authentic Nicaraguan experience try spending a few nights in a homestay. 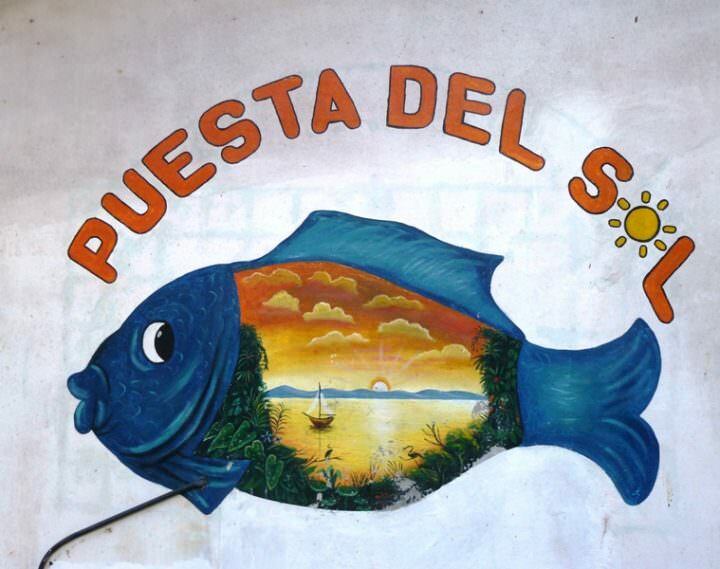 Approximately one mile from Moyogalpa is a wonderful little place called Puesta del Sol. This cooperative is run by a group of women who represent 17 families. Members of the cooperative have small plots of land where they grow produce, and now they have opened their homes and hearts to tourists as a means of sustainable community development. For a mere $7 per night, or $20 including all meals you can be a part of a family and immerse yourself in the true Ometepe culture. 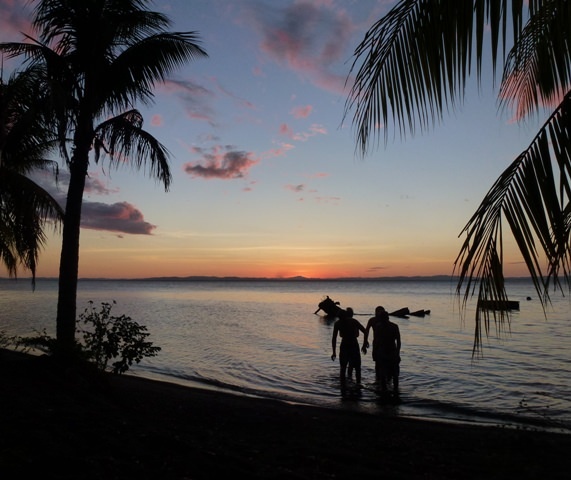 As you can see, Ometepe has a so much to offer travelers. There is something for everyone and this incredible island is just waiting for you to come discover its natural beauty!